Most tourists in Austria arrive either as independent travellers with their own cars (domestic and European visitors), plane or as participants in somewhat suicidal "All-of-Europe-in-a-week" organised bus tours. For each of these means - and some alternatives - I will give a short outline in the following. Driving your own vehicle is certainly the most efficient way to see much of the country with the personal freedom to choose where you want to go. The road network meets internationally high standards, even though Austrians have a habit to complain about certain motorways (highways) to be permanent construction sites. This is partly due to frost damages that are a recurring obstacle in maintaining roads. "Autobahnen" motorways criss-cross the country and allow fast connections between major cities. You will have to by a toll token called "Autobahn Vignette" and stick it on your windscreen for using the Autobahn. They are issued for a range of times and sold in petrol stations and at points of entry (10 Euros for 4 weeks or 7.60 Euros for 10 days). General speeding limits in Austria are 130 kilometres per hour on the Autobahn motorway, 100 km/h on other roads and 50 km/h within community areas. Community areas are indicated by white plates with blue frame and the name of the community on it in black. Click here for an interesting example of an Austrian community plate. A few years ago, it has become compulsory to carry a reflective vest in every car (in addition to first aid kit and a reflective triangle), which might not be part of the required equipment of your home country. In winter, you might be required to use snow chains on your wheels. You can rent a car in all major cities in Austria. Consider to book a car in a package with your flight ticket, which might offer you a better deal. Otherwise, I recommend sticking with the established companies that you recognize from your country. Major points of entry and relevant roads are from Germany the motorway A8 from Munich to Salzburg, motorway A93 from Rosenheim via Kufstein to Innsbruck, Tyrol, E43 (A96) from Leutkirch via Wangen to Bregenz, Vorarlberg, E56 from Regensburg to Passau, Upper Austria. From Italy, the motorway A23 to Villach, Carinthia or the E54 via Brenner to Innsbruck, Tyrol. 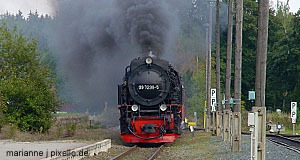 From Slovenia, they are the E652 to Villach, Carinthia or the E57 via Spielfeld to Graz, Styria. The rail network in Austria is probably among the best in the World. Here it definitely pays back to have a pronounced socialist tradition with heavy funding for the national infrastructure. It is not unusual that train delays of three minutes are announced at the platforms and the trains themselves are usually new and clean (with few exceptions, as with everything). Travelling by train is generally fast and convenient, but might be a tad pricier than busses. To save some money, you can purchase a discount railcard. These are a particularly good deal for young people (under 26) and seniors and you should get some advice at the station whether they are worth it for your travel plans. If you are older, you can still buy a discount card, but it costs 100 Euro instead of 20 as for young persons. International trains connect Austria with a variety of cities, most immediately Munich, Prague, Bratislava, Budapest, Ljubljana, Venice, Milan and Zurich. For international rail travelling, combination tickets for all of Europe might be a good deal particularly for young people. According to the CIA factbook, Austria has 55 airports. I think the CIA regards a field with a shed an airport. Nevertheless, several major cities actually have international airports with Vienna and Salzburg being the biggest ones. Other significant points of entry are Linz, Innsbruck, Graz and Klagenfurt. For international visitors, European "hubs" might offer better deals than a direct connection to Austria. London as the capital of low-cost carriers has become an attractive gateway into Europe. Especially Bratislava has become a major "Austrian" airport with excellent bus connections from the airport straight to Vienna (takes about 40 minutes). Alternatives are flights to Northern Italy or Munich. Low-cost airlines that serve destination in or around Austria are Ryanair, Easyjet, German Wings, HLX, AirBerlin and FlyNiki. A "conventional" airline of particular significance is the national "Austrian Airlines" with its partners of the Star Alliance (which includes Lufthansa). Domestic flights are not a common means of transportation for tourists, but there are frequent connections between Vienna and other cities of Austria such as Salzburg. Considering that the distance between Vienna and Bregenz is pretty much the longest you can go within Austria (it′s only about 600 kilometres), domestic flights seem rather redundant to me. There is no real departure tax due in Austria, but a so-called international "passenger service charge" of around 15 Euros applies. There are also security charges, both issued by the airport directly and often included in your package. Buses run pretty much everywhere in Austria. Ask for advice and timetables at local tourism offices. Busses are as convenient as in other countries - not as much as trains, but a bit cheaper and often offering connections to places that trains fail to link. They are also significantly slower than trains, which you might want to keep in mind. Most large cities have local transportation that typically consists of city busses, trams or subways (the latter one in Vienna). A single ride will cost you some 1,50 to 2,00 Euros, for tourists day tickets are often the best deal. Travelling by boat can be done on the Bodensee, some big lakes in the Salzkammergut and Carinthia and on the Danube anywhere between Passau in Bavaria and Budapest at least during the summer season. Boats are generally seen as a mean for scenic cruises, not really as a practical mean of transport. Therefore, they might be rather expensive - but scenic, nevertheless, especially in the Wachau or the lakes. Cycling is very common in Austria (as it is in most continental European countries) and even cities often have good networks of cycling lanes and paths. Almost all major cities offer rental bicycles and especially a place like Salzburg is well-explored by bike. Areas particularly suitable for cycling holidays are the Wachau (I was dragged along the Danube by my parents when I was a cranky 12-year-old, so you can do it, too) and the Burgenland. Hard-core mountain bikers will love the Salzkammergut and Tyrol. In the winter, people move mostly on by skiing. Other more original means of transport include horses (horseback riding holidays are popular especially in the East of the country) and - believe it or no - llamas. It used to be a running joke of mine to say that if my studies failed to secure a job for me, I could always move to the mountains and start breeding llamas, because nobody else does that. Until one day I found out that there is in fact an entire association of llama breeders in Austria.